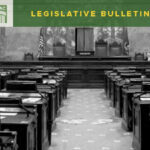 House and Senate fiscal bills that didn’t pass out of their respective Appropriations and Ways & Means Committees were added to the pile of dead bills for the session. A caveat to this is that a bill that is deemed necessary to implement the budget can be resurrected or inserted into an omnibus bill later in the session. Unfortunately, SHB 2902, providing funding for fish barrier removals, died in House Appropriations. The bill, if passed and funded, provided $50 million per year to the Fish Passage Barrier Removal Board to allocate to projects. The bill received good support but failed to get prioritized for funding. SSB 6490, authorizing GMA opt-in counties to adopt REET 2, on the other hand, was passed out of Senate Ways & Means and awaits a floor vote to proceed. 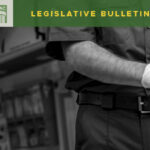 A similar bill in the House, HB 2933, is alive, as well and awaits a pull from the House Rules Committee. 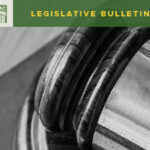 SHB 2896, which codifies in RCW the Connecting Washington allocations to CRAB, FMSIB, and TiB, is alive and needs to be pulled from Rules for a floor vote to proceed. Bills that are still alive will need to be voted out of their chamber of origin by this Wednesday, Feb. 14th, to move forward. Other bills awaiting a floor vote include 2SHB 1332, dangerous objects on roads, SHB 2723, regarding off-road vehicles, and 2SSB 6529, regarding pesticide safety. The House and Senate Transportation Committee Chairs, Rep. Clibborn and Sen. Hobbs, have not yet released their proposed transportation supplemental budgets. The supplemental budgets are not expected to add significant new expenditures for the remainder of the biennium. More information will be available when the budgets come out. 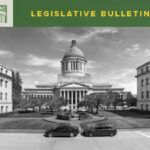 A detailed list of alive and dead bills for the biennium can be found here. 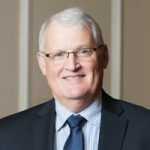 Gary is currently the Managing Director of WACE (Washington Association of County Engineers).He has extensive background in the policy areas of Transportation and Public Works.